Les Ambassadeurs continued to perform and release material long after Salif Keita had left the group. They recorded with different line-ups and released many LPs and cassettes (see the Discography in the menu). One of the band's more obscure releases is pictured above, and it finds the group in top form, with the added bonus of some great keyboard solos. 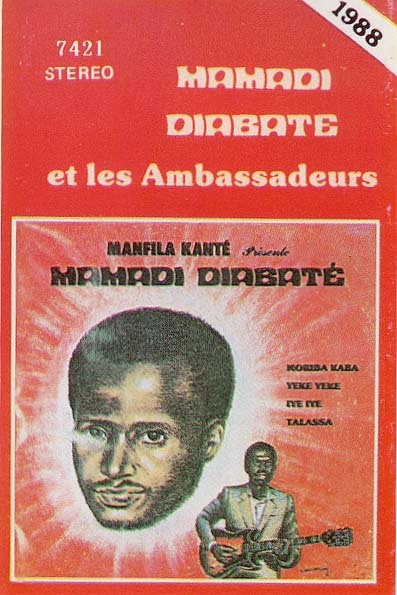 It's a "Kaba" disc, with Mamadi Diabaté on vocals and Kanté Manfila on lead guitar. Other musicians include Sory Bamba and Tagus Traoré.